935 Bloor Street west. 6:45 – 8:45 p.m.
A pay what you can donation, helps us make this happen! We’ll be playing the French Canadian and Scandinavia tunes. Anne Lederman will start by looking at the rhythm section of each of the pieces and then adding the melodies. So even if you haven’t had a chance to review the parts you can play the rhythm through the pieces and get a feel for how the tunes are played. The french tunes travel across Canada starting with the French Quick March (Voulez-vous dancer), La Bastringue, Drops of Brandy (Scots-Irish), Drops of Brandy (Metis) and Bacon Ridge. These are the tunes studied by the students from Etobicoke School of the Arts and the Miles Nadar Suzuki program for the Outreach program with Anne Lederman. Then we’ll fly across to Scandinavia play the lovely Josefin’s Waltz and the Finnish Polska. 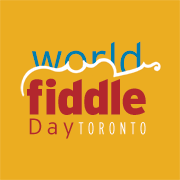 Become a member and support World Fiddle Day Toronto. It’s a great deal: the tune book and cd, 2 workshops, the jam and the evening concert with our special guest artists. Join Toronto’s World Music for string players Around-the-World Jam, May 20, 2017 at the Aga Khan. worldfiddledaytoronto.ca. FREE for all under 25. Next practice: April 9, 1 – 3:30 pm. with Emilyn Stam and James Stephens. Eh?! (Emilyn Stam, Anne Lederman, James Stephens) are starting a 2 week House concert tour around Southern Ontario with Home Routes. A Facebook link.